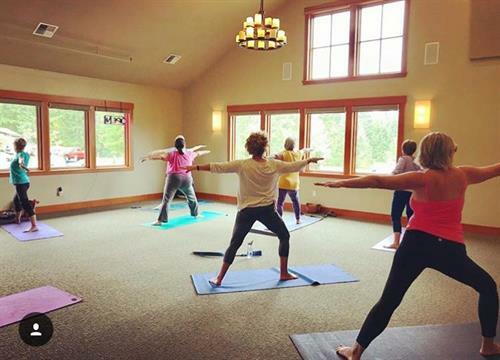 Alderbrook Golf Course, a member-owned course and golf course community, is also open year-round to the public. 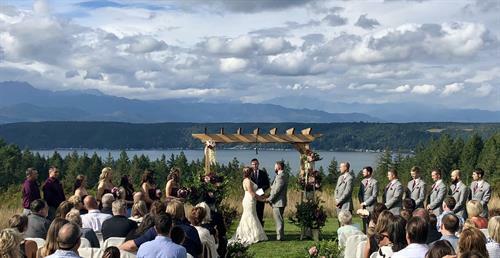 With five sets of tees, golfers of all skill levels enjoy the course, set on a hill above the southern shores of Hood Canal in the town of Union. 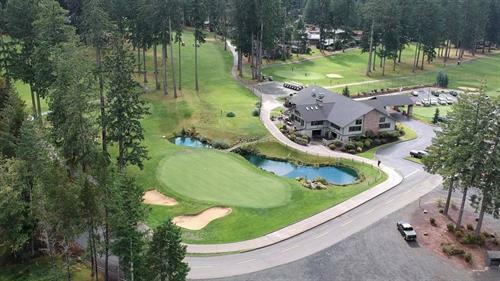 Fairways meander through the residential community of Alderbrook Golf & Yacht Club. While some holes are bordered by homes, others are set among tall fir trees. Narrow fairways are challenging for long hitters who must hit straight to avoid the woods, yet are quite friendly to the casual golfer shooting from the front tees. Look out for the infamous 8th hole! A par on double dogleg, 536-yard par 5 will definitely give you bragging rights. 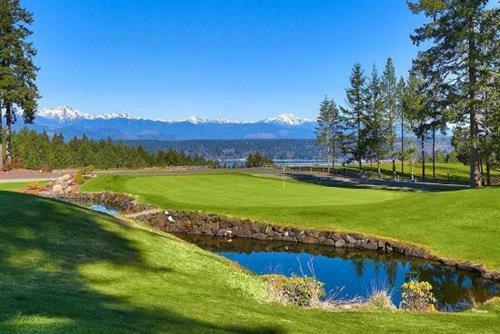 At the end of your round you’ll be treated to a magnificent view of the Olympic Mountains and Hood Canal as you crest the top of the hill on 18. But don’t let the view distract you or you might be fishing for you ball in the pond to the left of the green. At the end of your round, treat yourself to a refreshing beverage or a fantastic meal in the restaurant and bar in the clubhouse—and enjoy that mountain and water view to your heart’s content!